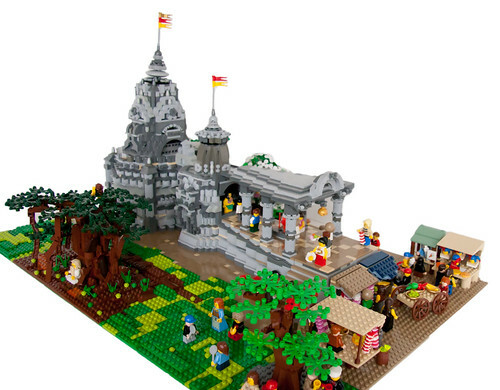 Brick Town Talk: Worthy of Worship - LEGO Town, Architecture, Building Tips, Inspiration Ideas, and more! Northern India - (BTT) Perhaps being a thousand years old isn't saying much when looking at the cosmos as a whole, but its definitely a reason to take notice when looking at a building. A beautiful example of Nagara Architecture, this Hindu temple may have gotten a bit touristy in recent years, but you really can't blame the masses for wanting to visit such a historically important landmark.